Burning Man 2012 – How was it for you? It almost became a reality, but it was not meant to happen this year! For those that do not know about Burning Man it is a gathering of conscious souls from around the globe with the intention of building community around arts and music, free from the “default world” of what many refer to as reality. It is a week-long event that requires an exceptional amount of planning, not just from the organisers, but from those travelling to the desert. Black Rock desert, in Nevada has no electricity, no running water and lots, I mean LOTS of sand! To attend your first ‘Burn’ it is recommended you travel with someone who has been before, it is not the place you just turn up to. And when you do get there, do not expect your normal over commercialised, over-hyped ‘festival’ style rave! This crew is a whole different ball game. Burning Man is less of a festival and more of a temporary City, with its culture firmly rooted in producing positive spiritual change. With the focus on art, you will not find any big name commercial DJ’s. I did manage to find a little snippet of footage from 2010 when Cross Town Rebels crew played at the nexus stage. The Sound quality is not all that great but it gives you an idea of the night-time madness. 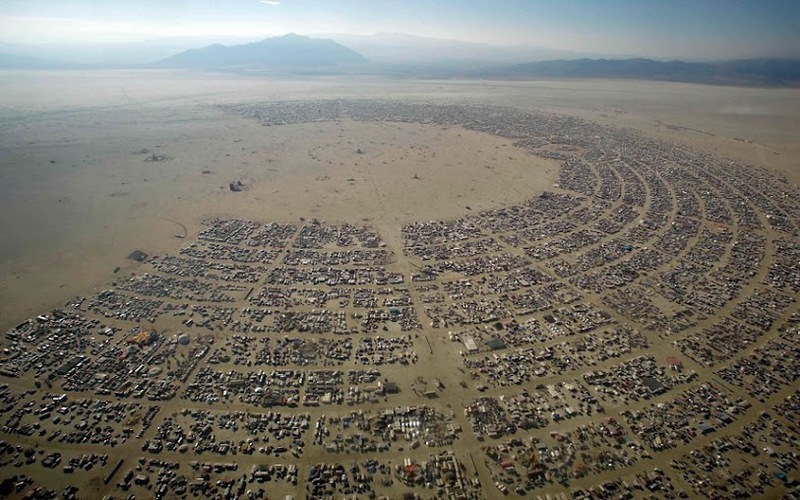 For some great daytime shots of burning man – you can check out This Blog. Did any of Traktor Tips Readers go to ‘The Burn’? If so share your story below in the comments with everyone? Was it what you expected, did you survive? Tell all…..
Next Next post: Pioneer CDJ2000 Nexus?